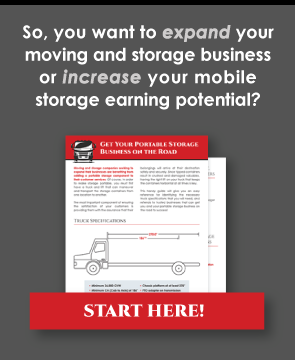 Mobile storage is a convenient alternative to traditional self storage. But, mobile storage is nothing new. Everyone from settlers to immigrants have used everything from covered wagons to steamer trunks to haul their clothes and crockery from one home to the next. What is new, however, is the technology and the efficiency that makes mobile storage in the 21st century considerably more advantageous. So, how does mobile storage work? A storage lift system delivers a storage container to the customer’s home. The customer then fills the storage unit with their belongings at their leisure. The mobile storage unit is then picked up by the mobile storage delivery system and transferred to either the storage facility or to the customer’s new home. In some cases, businesses or home owners are using the mobile storage container for temporary storage on-site and once they are finished, the container can be taken to the next client. Cost Effective: A portable storage unit rental also saves people from having to hire moving companies, rent a van, or hold huge garage sales prior to getting on the road. Convenient: Portable storage units can be dropped off at a customer’s home or business for an extended amount of time and then can be picked up whenever it is convenient for the customer. Easy to Load: The mobile storage containers are placed on ground level, which allows the renter to easily walk their items into the storage container when it is being packed. Of course, the benefits of portable self-storage aren’t just for consumers. Operators of self storage facilities can reap significant rewards by offering portable storage solutions to their clients. Mobile storage units are cheaper to purchase, easier to maintain, and require less space to store than traditional storage units. This means that the profits that can be generated from portable storage solutions are considerable. A mobile storage truck needs special equipment in order to transfer the mobile storage units. A mobile storage delivery system is specially made delivery equipment used to lift and transport mobile storage containers. The portable storage delivery equipment is mounted to a truck and is designed to adapt to a variety of mobile storage containers. Portable storage units come in a variety of sizes. The majority are 8 foot wide to 16- 20 feet long and can weight up to 10,000 lbs. when full. The Horizontal Lift system is a patented non-franchise mobile storage lift that can be used on different size mobile storage containers. The mobile storage lift system is easy to operate, truck mounted, dependable, patented, and hydraulically operated. The lifting lug that is used in a Horizontal Lift system is developed to have an easier transition between container sizes allowing for a secure attachment to the containers on the trucks. Compared to other mobile storage delivery equipment, Horizontal Lift leaves consumers belongings intact with the “no-tilt” lift system. Customers will have peace of mind knowing that their belongings, when packed properly, will be fine when the container is placed in storage. Are you ready to learn more about the Horizontal Lift system? Talk to us today!